Counter-Strike: Global Offensive is a first-person shooter, which means that having good aim is what makes a good CSGO player. While that is not totally inaccurate, there are so many factors that make a major difference when it comes to winning that important eco round or not. New CSGO players easily grow accustomed to only using the weapon they feel most comfortable with. Knowing a weapon inside-out is great, but in the competitive world, a weapon can’t be good for everything and recognising it has bad matchups is critical. One of the skills that make or break a player is knowing which weapons are better than others, why, and putting the knowledge to good use. Need more CSGO tips? Check out our recent guide here! Every weapon in Counter-Strike: Global Offensive has different stats which help reaffirm the weapon’s purpose in the game and which playstyle it offers to the player. And in this ongoing series, we’ll cover each kind of gun to find out the best and the worst exclusive weapons for both Terrorists and Counter-Terrorists. Let us start with the first weapon you hold in your hand: the pistol. The Terrorists have two exclusive pistols, the Glock-18 and the Tec-9, vs the Counter-Terrorists’ three exclusives, the P2000, the USP-S and the Five-Seven. We’ll only cover what we think is the best for both side. For the Terrorists side, both the Glock-18 and the Tec-9 are solid starting options. They’re both great at close-quarters and have a solid rate of fire, but we find the Tec-9 a tad more powerful. 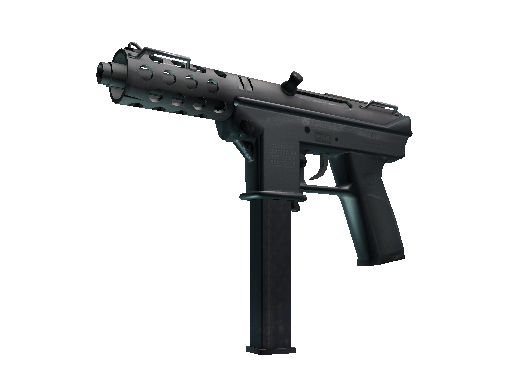 Not only does the Tec-9 have a higher rate of fire but it also has a notably stronger armour penetration (90.15% compared to 47% on the Glock-18). With this gun, you can land a one-shot kill when aiming at the head of an armoured or unarmoured enemy. 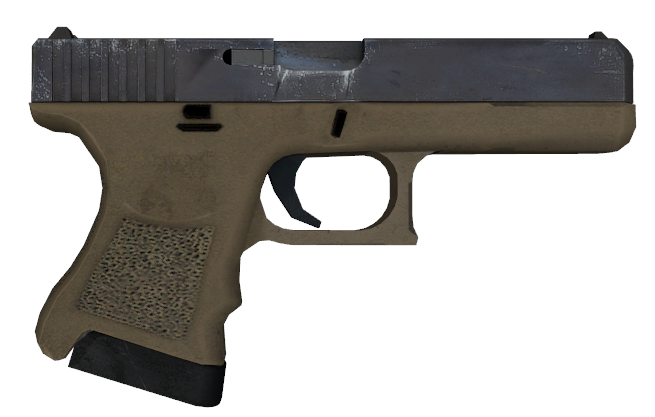 It’s true that keeping the Glock-18 at the beginning of pistol round allows you to purchase a Kevlar. But considering that Counter-Terrorists can start with a USP-S -a gun that is capable of one-shotting an unarmoured target with a single headshot- and that you’re unable to buy a Kevlar and Helmet combo in the first round, we recommend you get the Tec-9 plus any grenade you can get. It is more efficient and an overall smarter buy. For the Counter-Terrorists, being able to use a suppressed pistol with incredible long-range accuracy and decent damage on the first round represents a great advantage. This is where the USP-S shines. Alike to the P2000 when it comes to stats, the USP-S offers a stealth advantage over the Terrorists, making the USP-S a great Bomb-Site retake option (not to mention the long-range one-shot kill potential of the USP-S!). Keeping the USP-S and purchasing Kevlar to resist some damage while trying to kill your targets from a long distance is a good strategy to follow when playing on the Counter-Terrorists side. Even taking into account the magazine advantage the P2000 has over the USP-S, numbers lose meaning if shots don’t land. The P2000 is inferior in accuracy in every scenario (standing, running and crouching) when compared to the USP-S. However, you might prefer sacrificing some accuracy for the extra magazine as both pistols deal the same damage. 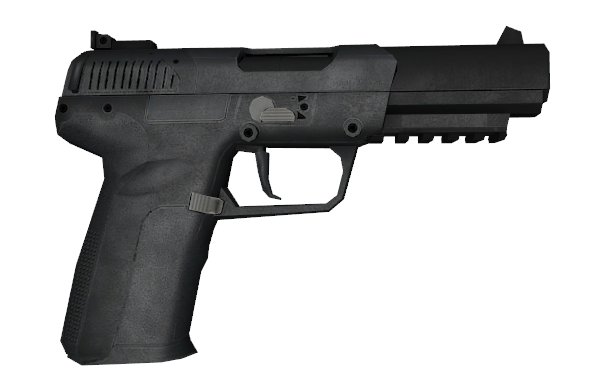 The Five-SeveN deserves an honourable mention as well. This bad boy has a huge magazine size, has 91.15% armour penetration (just like it’s Terrorist counterpart, the Tec-9), and can one-shot both armoured and unarmoured targets at close range. And this concludes our article about the pistols in both factions in CS:GO. We hope knowing these small facts will help you make smarter and more effective buys, and turn you into a better player. Stay tuned for our next article, where we’ll keep up discussing every type of gun in CS:GO! This article is brought to you by the Miuki.net Team. When author Sabrina Wang is not blogging about entrepreneurship, she loves to talk about geek culture and competitive gaming like Counter-Strike: Global Offensive.